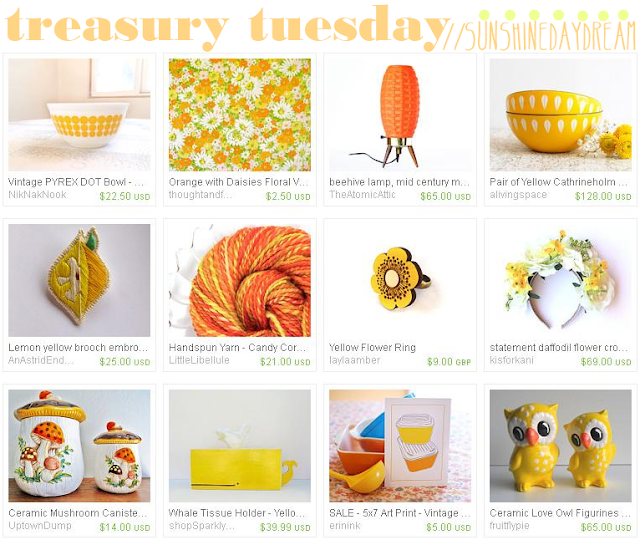 The sun is shining in full force and so is this TREASURY TUESDAY round up. Bright yellows and oranges are on my mind, so I thought it was time for a bright and sunny Etsy treasury to ring in the summer weather! I am absolutely in love with every item on this list. I made sure to show off a variety of vintage and handmade goods, that way everyone can lust over something! See something here you love? Go visit my Sunshine Daydream treasury on Etsy to get the scoop! 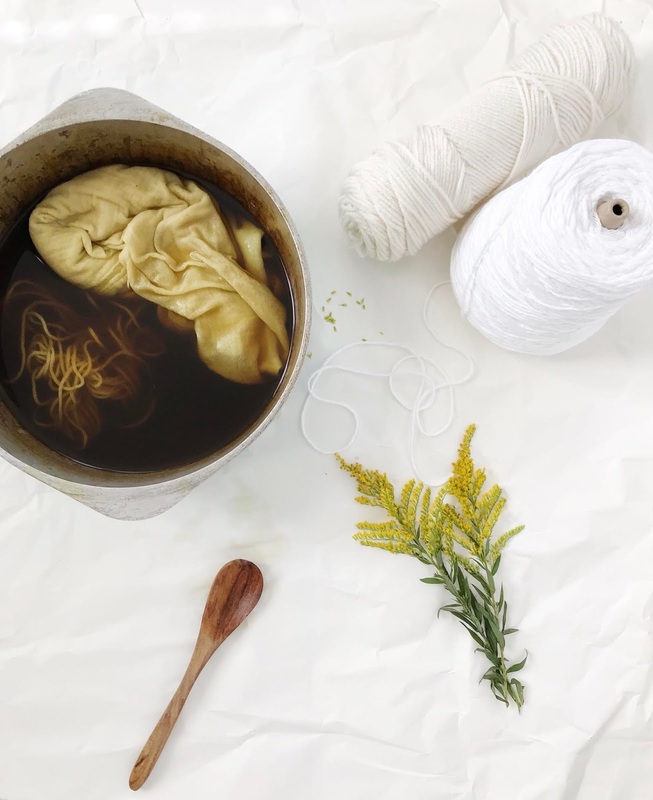 Do you make treasuries on Etsy? Comment with a link to your favorite so I can have a look! What colors are you loving this week? Love that lemon pin! Perfect treasury for spring. I haven't made one in ages but it is fun.